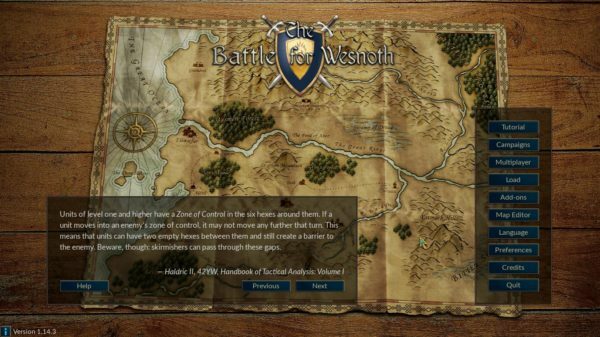 This quick tutorial shows you how to install the latest Battle for Wesnoth 1.14.3 in Ubuntu 18.04, and/or Ubuntu 16.04. Battle for Wesnoth is an open source, turn-based strategy game with a high fantasy theme. It features both singleplayer and online/hotseat multiplayer combat. While all current Ubuntu releases offer Wesnoth 1.12 in the main repositories, the latest version has reached 1.14.3. There’s an unofficial PPA that contains the game packages for Ubuntu 16.04, Ubuntu 18.04 so far. Once installed, launch it from your system software launcher and enjoy! To remove the PPA, open Software & Updates utility and navigate to Other Software tab.